My style hit a rock bottom in 2010. Let me try and describe it in the most delicate way possible: an American Apparel tri-blend dress, with a button down shirt over it, a random necklace from ASOS, tights, and ballet flats all topped off with a bob. The line host at Trader Joe’s not-so-delicately said “you look like you’re either a kindergarten teacher or in kindergarten.” My style needed help. And so did my playlist — it was pretty Jonas Brothers focused (ok, maybe the Trader Joe’s guy did have a point). And that’s how I discovered the coolest summer dresser of any indie rock and roller — Lily Aldridge. Lily Aldridge’s style is literally (like actually literally) a derivative of everything around her. The daughter of Alan Aldridge (a British artist, and most famous for bringing the psychedelic London 60’s visions to paper) and Laura Lyons (an American model and Playmate of the Month in 1976), Lily Aldridge has been a globetrotter since the very beginning. Part LA, part laid-back Nashville, a dash of trendy Tribeca, and a hint of London cool. Let’s not forget the most subtle undertone of a tomboy at heart — Lily Aldridge wanted to be a soccer player before she fell in love with fashion. It’s infused with her mother’s glamourous career and her father’s art. And then we get the Lily Aldridge summer style. A cooly mixed international assortment of everything around her. Married to Caleb Followill of Kings of Leon (with an adorable daughter), Lily Aldridge’s style hits a high note with its sense of Nashville rock and roll. She gives a sense of wanderlust that only a true music fan can emit with a pair of Isabel Marant Dickers, white t-shirt, and jeans. Nowadays Lily Aldridge is best known for her wings. The Victoria’s Secret model does total bombshell glam just as easily as backstage Bonnaroo. Lily brings a new air to Victoria’s Secret with her warm interviews and proclivity for pizza. It’s no wonder she became an angel, her inner radiance and beauty shines through the make-up. And wearing a Rick Owens jacket en-route to an appearance only endears her more. 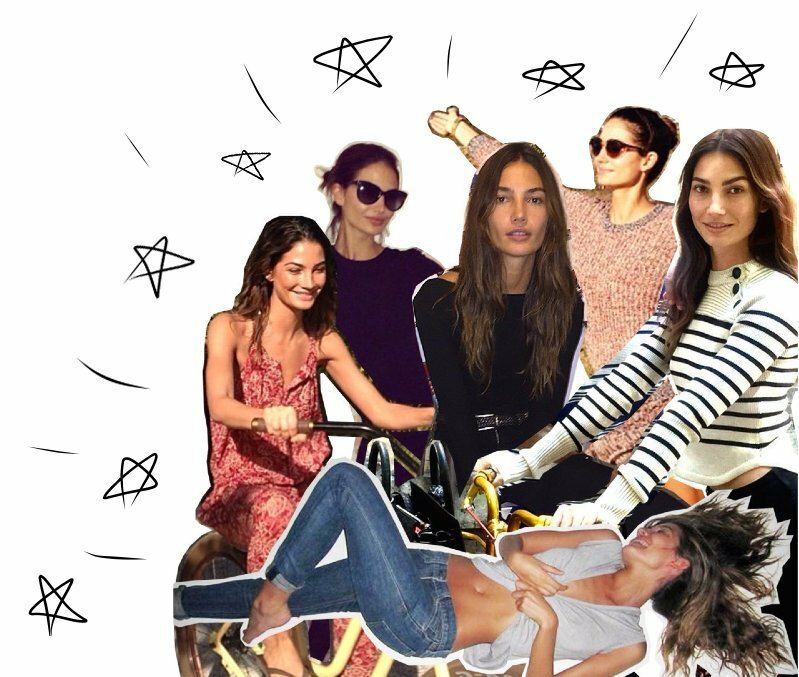 So how do you get Lily Aldridge’s summer style without a rockstar husband or an international upbringing? Start dancing to Aha Shake Heartbreak and don’t stop playing it… At least that’s what I do.